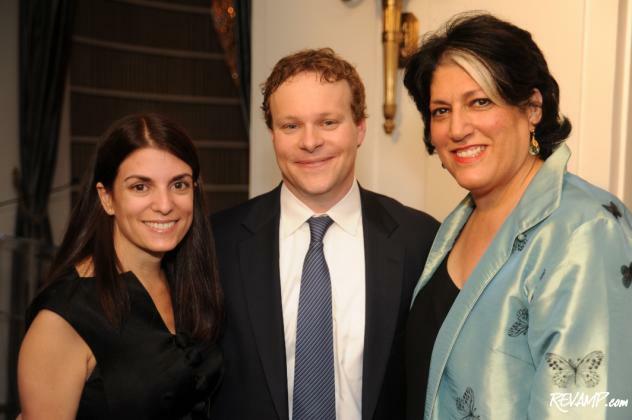 (L-R) Jenny Licht, Chris Licht, and Tammy Haddad at the book party for "What I Learned When I Almost Died". Be sure to check out all 57 of our photographs from this event HERE! NORTHWEST -- Fearless is an adjective that perhaps best describes the men and women who dedicate their careers (and sometimes lives) to reporting on the news. Be it a field reporter venturing into a war zone, a veteran news anchor questioning some of the most powerful people in the world or a behind-the-scenes producer who must somehow make it all work (and be profitable), today�s media professionals must possess the curiosity, tenacity, and daring that most abandoned in childhood. And when such a person is suddenly robbed of these qualities by an uncontrollable, life-changing event, the impact can be profound; not just on the victim himself, but also on his colleagues, friends, and family. Such was the case with former MSNBC �Morning Joe� executive producer Chris Licht, when he was suddenly stricken by a near-deadly brain hemorrhage in 2010. 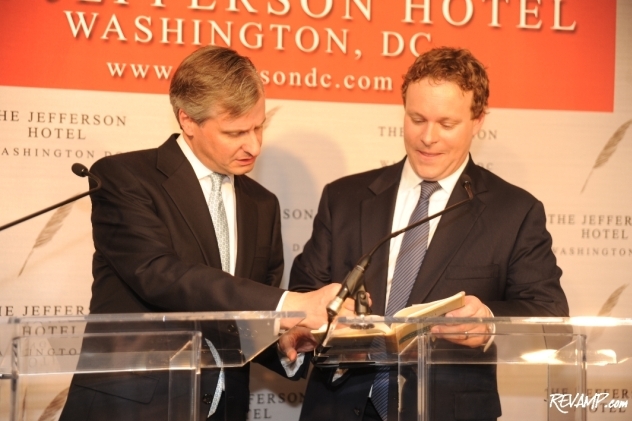 Jon Meacham questions Chris Licht about a section of his book. Having undergone a successful recovery period over the past year and with a new job as Vice President of Programming for CBS News under his belt, Licht is now ready to tell his story with the release of his debut book: �What I Learned When I Almost Died: How a Maniac TV Producer Put Down His BlackBerry and Started to Live His Life�. Thursday evening, Constance Milstein, Jon Meacham, Kevin Sheekey, and Tammy Haddad hosted a private reception and interview with Licht at The Jefferson Hotel, to kick off his book tour and toast his recent career change. After opening remarks by friends and �Morning Joe� co-hosts Joe Scarborough and Mika Brzezinski, former Newsweek editor and current Random House Executive Vice President Jon Meacham conducted a live interview with Licht that touched on everything from his current health status to his jump to CBS from MSNBC, which was simulcast over the Internet at the Haddad Media White House Correspondents Weekend Insider website. �We all think we have so much control over our lives. We really don�t� And this is a book that talks about a guy� that�s as Type A as Type A can be� and a guy who understood, one day out of nowhere, that� he could have died in an instant. And this is an amazing story about Chris figuring that out,� said Scarborough. 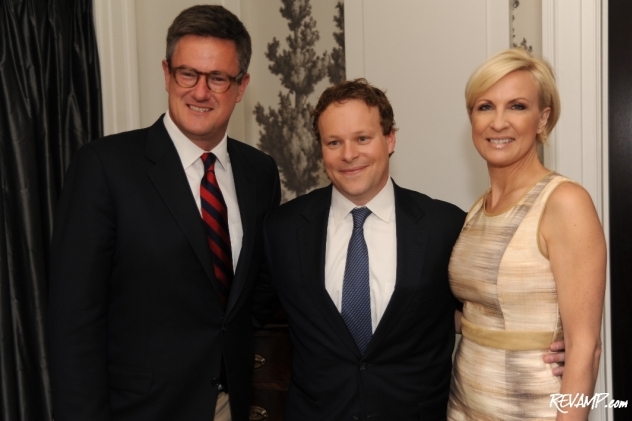 Joe Scarborough, Chris Licht, and Mika Brzezinski. 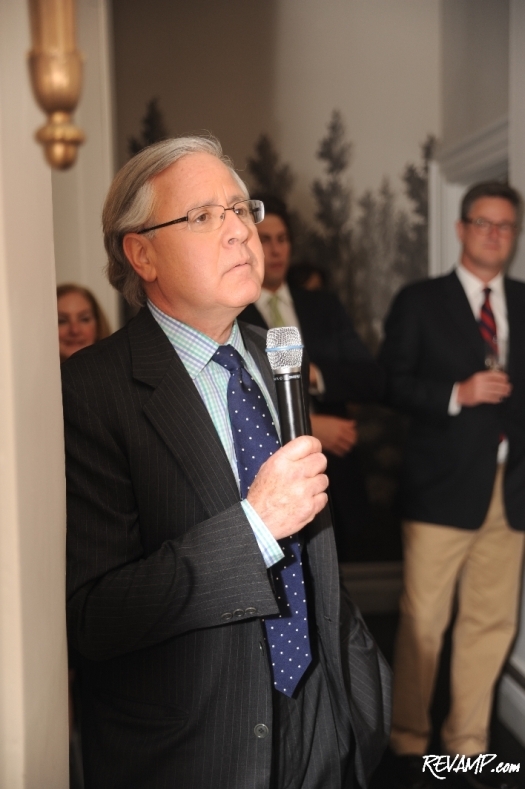 Huffington Post Senior Editor Howard Fineman asks Licht a question during the book reception�s Q&A session. Joining Licht at the book party was everyone from Pulitzer Prize-winning journalist Bob Woodward to top Republican media consultant Alex Castellanos to The New York Times� Mark Leibovich to POLITICO�s Mike Allen and Patrick Gavin to Ambassador Lloyd Hand and celebrated jeweler Ann Hand to political communications strategist Hilary Rosen. 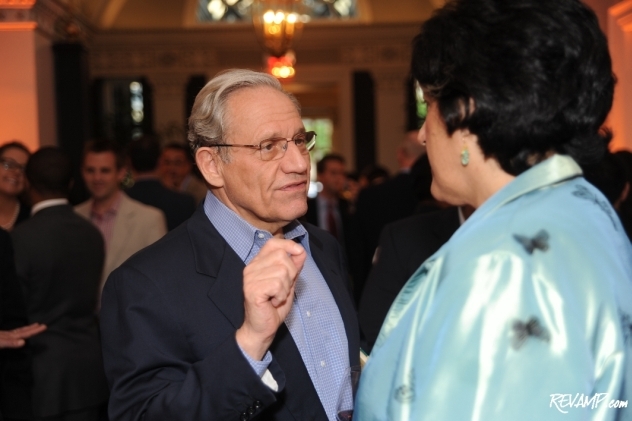 Bob Woodward and Tammy Haddad. Jenny Licht: 1. BlackBerry: 0.